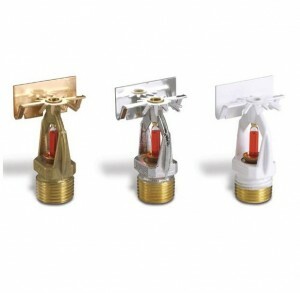 Fire Sprinkler heads can be a mystery to the untrained eye. There are many different types, models, purposes, and orientations that sprinkler heads are meant for. Sprinkler heads come in upright, pendant, sidewall styles, concealed, semi-recessed dry heads (to protect freezers), and many different temperature ratings. Furthermore, there are differences between residential and commercial heads, depending on your property. Call us if you need help identifying what type of sprinkler heads you have at your property. Your sprinkler heads must be replaced if they are covered in paint, as that could change the temperature rating rendering the heads ineffective. The same is the case if there is rust, corrosion, loss of liquid, or if it may be bent. In California, you need a Fire Sprinkler Contractor with a C-16 License to change out your sprinkler heads. An ordinary plumber does not have the authority to do this type of work. Either your insurance company or LA fire department will require any necessary work. If the LAFD requires that you have a 5 year sprinkler test done, we are also licensed to test and certify your sprinkler systems. 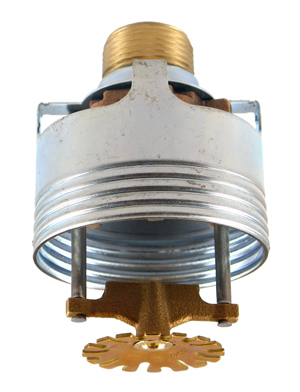 Per Reg 4, if your sprinkler heads are over 50 years old, they must be replaced or sent to a lab to test efficiency. If they pass the lab test, they are good for 10 more years. Our company has been in business for over 30 years and we’ve seen it all. 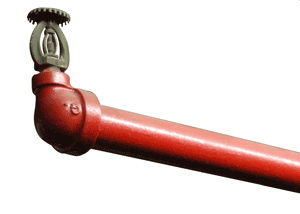 Z&S Fire Equipment is fully licensed, insured, and bonded with a C-16 License. If you have any questions regarding C-16 or anything related to your fire protection equipment and testing intervals, feel free to give us a call at 310-204-6403 and ask for Kevin or Henry, our licensed contractors.